As reported by APPLiA, home appliance manufacturers in Europe are starting to distinctly mark certain large appliances containing F-Gases and Vacuum Insulation Panels (VIPs). 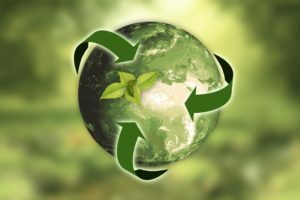 By placing the harmonised symbol on the back of refrigerators, heat pump tumble dryers, washing machines, washer dryers and dishwashers, the sorting of products at their end-of-life will become safer, easier and more environmentally sound for recyclers. “We have just been walking the talk of the so-called Circular Culture that we want to promote where every party is doing its bit”, the Director General of APPLiA, Paolo Falcioni said. “Manufacturers have the knowledge of evolving technologies and are ready to make an extra step and investment to support treatment facilities and recyclers in sorting appliances for environmentally sound and safer treatment”, APPLiA’s Environment Policy Director, Korrina Hegarty further continued. The commitment is a continuation of a number of pro-active measures which the industry has introduced, such as the launch of the I4R platform providing information and guidance to recyclers and preparation for reuse operators on how to handle WEEE. Besides, the Code of Conduct for Vacuum Insulation Panels is following the Association’s study on the recycling of cooling and freezing appliances containing the new technology. The study, that was carried out in 2013-2014, assesses how vacuum insulation panels influence recycling processes. The use of these panels has gradually increased since 2010 due to their better insulation performance compared with PU-foam. VIPs can be found in new cooling and freezing (C&F) appliances of energy class A++ and A+++. Currently low quantities of these types of C&F appliances are arriving at recycling plants but the production is increasing and it is expected that this amount will increase in the coming years.